I was recently asked by Inner Me, if I want to trial their Inner Me Daily 4 Me (Younger Years For Teens & Twenties) for a period of 6 weeks and as someone who really cares about nutrition, I couldn't say no. If you aren't sure where to start with vitamins and supplements, these will be perfect, as you don't have to worry about buying 4 different types of pills. You buy one pack and you are sorted for a full month. 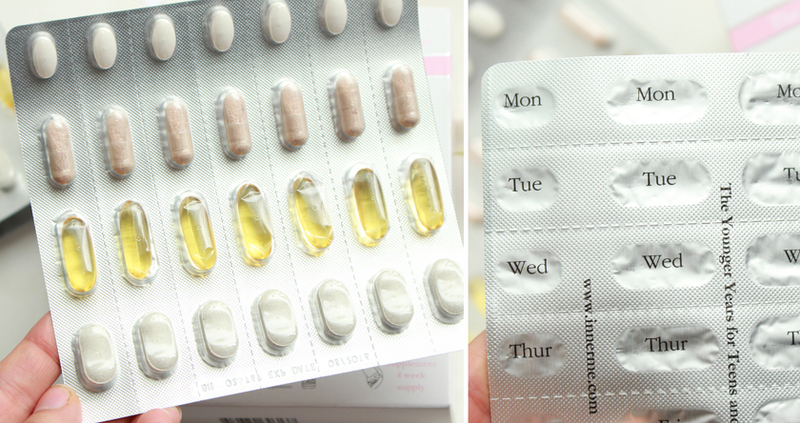 I have been taking these for over 6 weeks now and the biggest difference I noticed was in the strength of my nails. They are naturally thin and weak, but they started to grow beautifully to a point when I had to cut them after week 4. They feel much stronger now. My hair looks better as well, with more shine and life. I haven't noticed a difference in my skin (I am still getting tons of hormonal breakouts) or energy levels, but I have been feeling great (as per usual). For reference - my diet is full of fruit, veg, various superfoods and fish, so I am not the best example to notice dramatic changes, but... sometimes I am very busy and I miss out on nutrients, so I would rather take vitamins and supplements to keep my body happy. 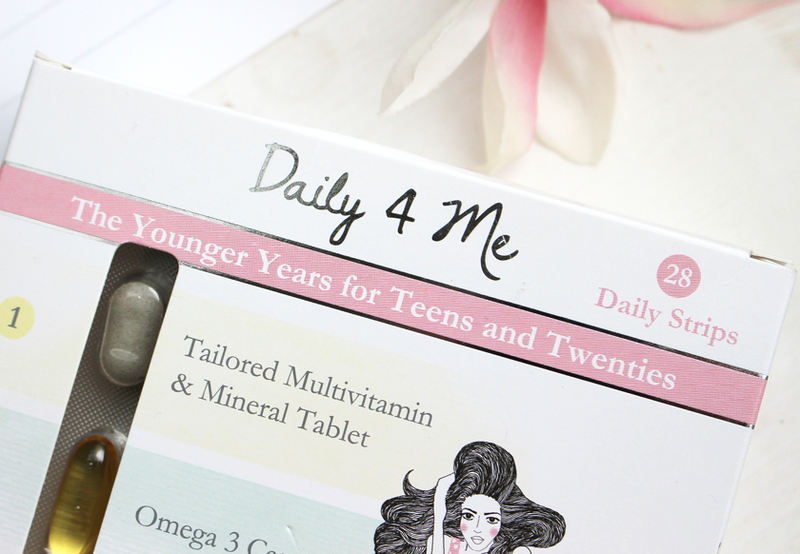 Buy one month's supply of Daily 4 Me (The Younger Years) and get one month's supply free! 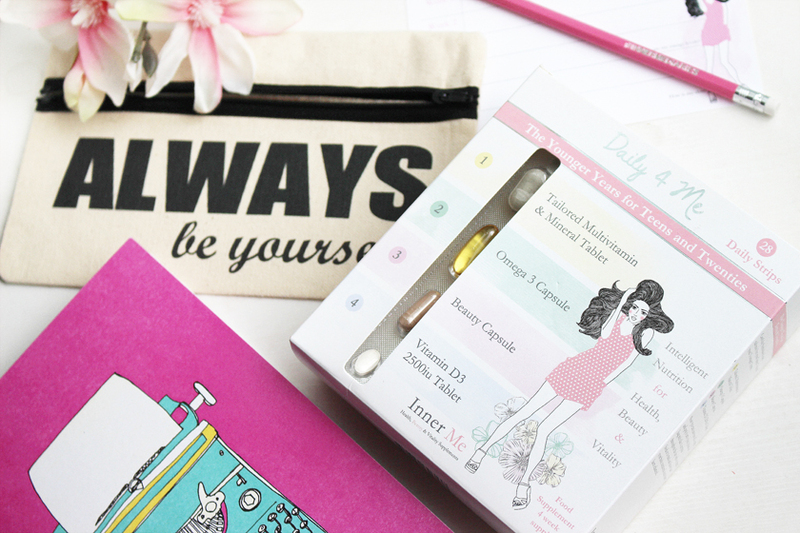 If you've been looking for new vitamins and supplements and want to give Inner Me a go, make sure to take advantage of the special offer for The Black Pearl Blog readers. Use code: BlackPearl and get one month's supply for free. That's 2 months worth of vitamins & supplements for £20.00. AMAZING value!